When I was a kid, I was mesmerized by the hundreds of television channels my friends had access to. Being able to watch everything from Nickelodeon to the Disney Channel was a dream of mine! Now that I’m close to 30, I am so thankful for the streaming alternatives to cable that exist today. Because of how much more affordable they are, I get to watch whatever I want, when I want. If you’re new to streaming, you may be able to save a good amount of money by learning about the most affordable TV streaming services. A monthly subscription for 23 popular channels costs $20. For other channels not included in the basic bundle, the cost is just $5 per desired channel. Sling is great for individuals who love live TV and the experience that comes with it. The disadvantage is the inability to use multiple device use at a time. Check out this article from Investopedia for more information on Sling’s service! Starting at $8.99 a month, Netflix is a hugely popular streaming service and for good reason. The platform is easy to use and incredibly personable. The service uses movies and shows you’ve watched to bring together a customized recommended listing. The disadvantage lies in the inability to watch new television episodes right away. The service streams entire seasons, which is great, but you’ll have to wait until the season is over to watch on Netflix. At just $5.99 a month for the basic service, Hulu delivers almost every single popular show on demand. With up to date streaming of television shows, you’ll never be left behind due to your schedule. Hulu is great for T.V. show addicts who wants to choose when to watch. The disadvantage of Hulu is the advertisements. 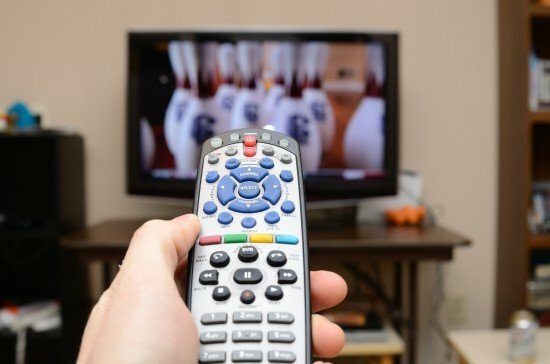 Similar to basic cable, advertisements can range from a few seconds to a few minutes. You can purchase more expensive packages to remove advertising. What’s great about Amazon Prime Video is that it is included in a subscription to an Amazon Prime membership. The cost of a Prime membership is $119 a year, but it comes with many services, including free Kindle book downloads, two-day shipping when ordering products on Amazon, and much more. The streaming service is commercial free and there are great original Prime movies. However, there are some shows and movies that require additional payment, which is a disadvantage. For $11.99 a month, you get to use YouTube without the annoyances that come with the free version. You can download videos, continue the video while using other apps on your phone, watch without advertising, and much more. You don’t have access to full television shows like you would with other services, which is a disadvantage. Each service is geared towards your viewing habits. If you love YouTube and enjoy watching clips and listening to music, YouTube Premium is a great option. If you love the services an Amazon Prime membership gets you, then that service would be perfect! If you still aren’t sure, ask friends and family for what their opinion is. Each service is highly popular and asking your peers would be helpful to decide which is more fitting for you.